Roasted red bell peppers, with their sweet and charred taste, are one of the mainstays of Middle Eastern and Mediterranean cuisines. They are extremely versatile and equally at home in salads, dips and main courses. While they are available in jars from supermarkets, I find the store-bought varieties are usually somewhat mushy and floating in an insipid brine that leeches away their precious smoky flavor. Making them at home is extremely easy. The smell of the peppers in the oven never fails to bring people running to the kitchen! 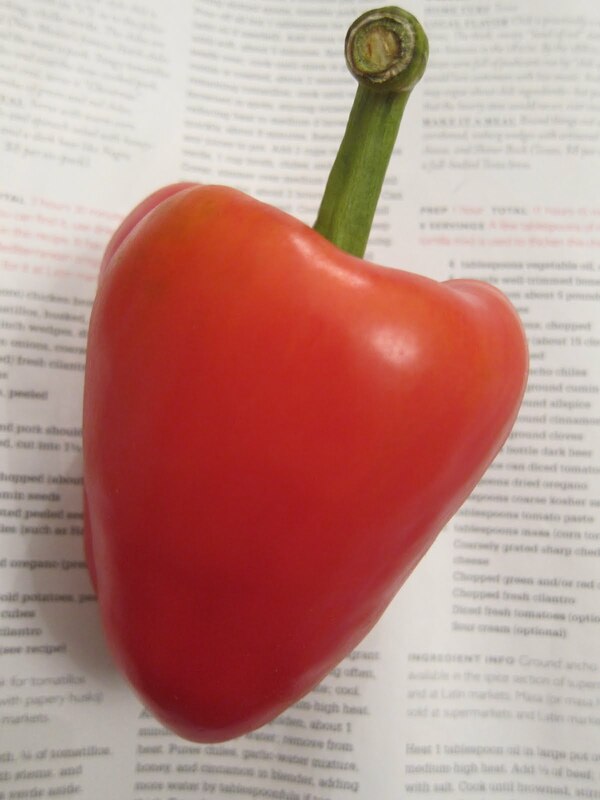 You can apply the same treatment to green peppers and poblanos as well, though the end result will be more bitter as they lack the sweetness that red bell peppers possess. - Serve them simply topped with olive oil, fresh herbs and garlic, like the French. - Blend with almonds, garlic, vinegar and smoked paprika for a version of the classic Spanish sauce romesco. - Blend with good quality feta, olive oil and hot red pepper for an addictive dip. - Mix with grilled eggplants and grilled tomatoes for the ultimate eggplant dish. - Make the iconic Middle Eastern dip muhammara by adding pomegranate molasses and walnuts. The recipe is below. - Chop up and freeze for future use - they defrost very quickly and are handy to have in case you need to whip up a quick dip or salad! Most recipes for roasted red peppers have you hold the pepper over a gas flame or grill and keep rotating to char each side. Even if I had a gas stove, I wouldn't use this time-consuming method. Instead I turn to my trusty broiler, cut the peppers up into segments that lie flat (this also avoids the chore of having to stem and deseed hot charred peppers that may squirt hot liquid at you) and broil the hell out of them for a few minutes. For most recipes that serve four people, three bell peppers will be enough. 1. Put an oven rack as close as you can to the broiler and turn the broiler on. 2. Cut off the top of each pepper and get rid of the stem and the seeds. 3. Cut each pepper into 3-4 segments that can lie more or less flat. 4. Lay the pepper segments, skin-side up, on a foil-lined oven tray. 5. Put the tray under the broiler. Broil until the skins are blistered and black all over, 5-10 minutes. 6. Place the peppers in a pot or bowl and cover. Let sit for 7-8 minutes. The steam will loosen the skin and make it very easy to peel. If you've blackened the peppers thorougly and let them sit for long enough, you can even pinch the skin off in one piece with your fingers! Adapted from here. Muhammara is a delicious and easy Middle Eastern dip. It's nutty, smoky from the peppers and has a nice sweet tang due to pomegranate molasses, which is ultra-concentrated pomegranate juice. You can find pomegranate molasses at any Middle Eastern store or even in the Asian aisles of well-stocked supermarkets. Serve with pita bread, crackers, celery sticks or on thick jicama or radish slices. The amounts given here make enough dip for 5-6 people. 1. Place all ingredients into a food processor or blender and blend to a smooth consistency. Add a bit more olive oil if too thick.